Traffic Flow and Count data is critical to managing mobility - from traffic planning to event response. Learn how to leverage your existing fiber infrastructure to extend the functionality of your investment. 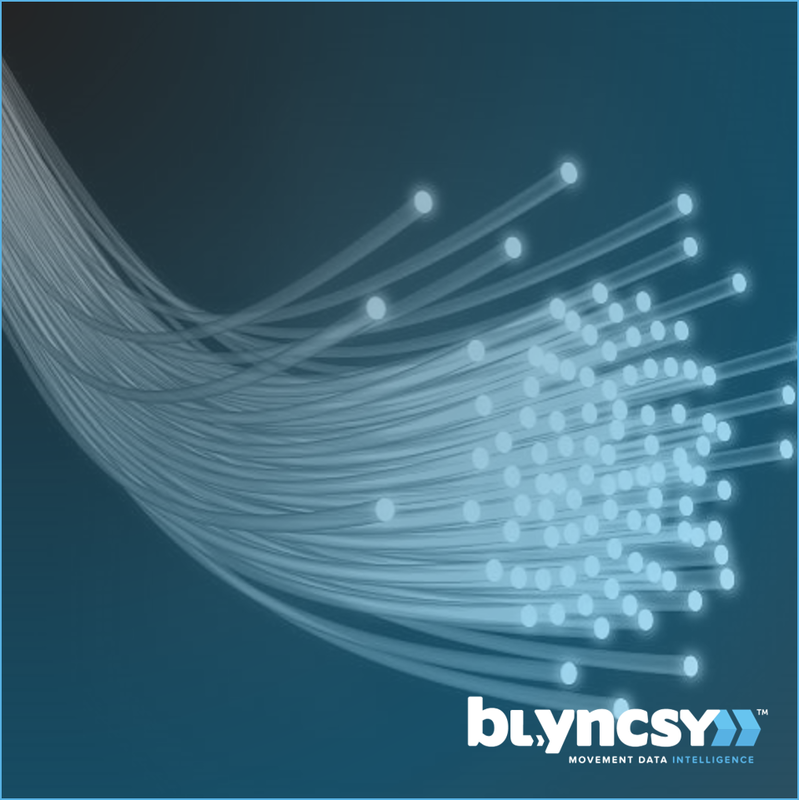 Fiber optic infrastructure is critical as one of the fastest, most reliable, and high fidelity mechanisms in moving data. As fiber is often positioned near roadways it creates an opportunity to use cutting edge technology to leverage your existing infrastructure to do more. Vehicles traveling the roadway generate unique sound patterns, that can be detected and analyzed to produce traffic data and traffic analytics through your existing fiber network. An effect known as Raleigh Backscatter allows your fiber to be enabled to generate traffic data. Using a technique called coherent optical time domain reflectometry or C-OTDR, the fiber infrastructure can be used to recognize and analyze the unique patterns created by vehicles. Ideal for situations where conventional roadside detectors are impractical or not allowed, like national parks. Cost of deployment per mile of data coverage generates a massive return on investment when compared to conventional detection. Blyncsy Pulse is a traffic analytics powerhouse that enables engineers to see deep into the data to monitor real time traffic, analyze historical trends, identify patterns and take action to make mobility more efficient and safe. Pulse takes traffic flow and count data and provides simple to use tools to set alerts, schedule reports, view data in charts and on maps. 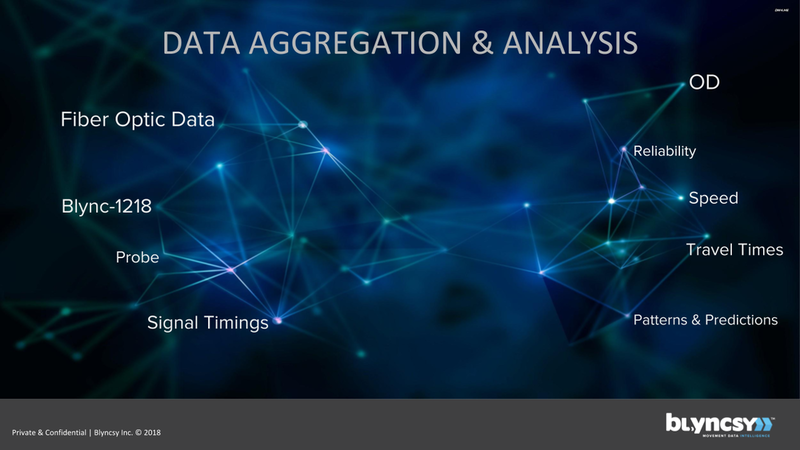 The system is optimized to consume multiple data sources and present the data as actionable, shareable information. Stay up to date with real-time alerts and scheduled exports of critical reports. Publish data to your commuters on public dashboards/websites and roadside signs. Analysis of multiple data sets - combining fiber with re-identification, probe, etc. Understanding what's really going on with traffic is difficult. Detection techniques from Distributed Acoustic Sensing to radar, loops, thermal imaging, and re-identification all provide valuable insight to your traffic system. These detection techniques become exponentially more powerful when they are centralized rather than siloed. Blyncsy Pulse is built on the Blyncsy Movement Insight Engine. The Movement Insight Engine is optimized to take multiple data sources related to geospatial temporal movement data and prepare and present it to engineers when they need it in the format they need it. This allows multiple detection data-sets to live in one place to do everything from power Blyncsy Pulse to populate roadside signs and integrate data into commuter facing dashboards/web sites.